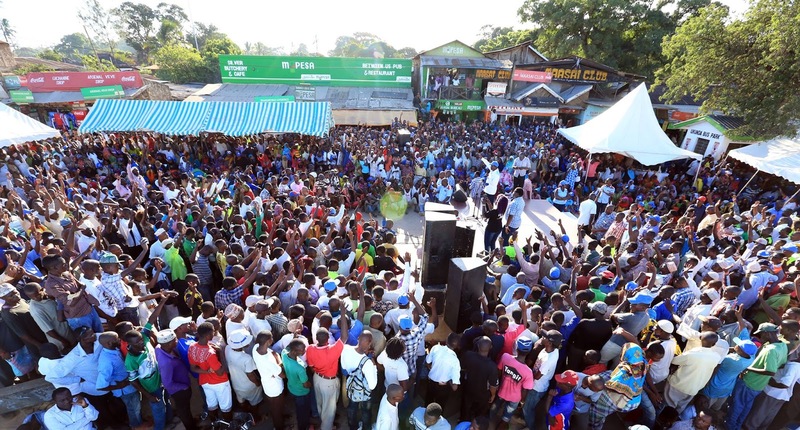 NASA named the Presidential flagbearer and the Government regional structure in Diani, Kwale. - Bana Kenya News, Real African Network Tubanane. 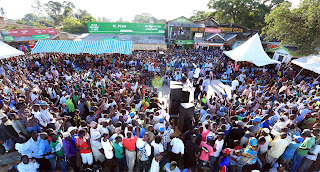 Home featured Mombasa NASA named the Presidential flagbearer and the Government regional structure in Diani, Kwale. NASA named the Presidential flagbearer and the Government regional structure in Diani, Kwale. The opposition leaders have named the flagbearer and now are waiting for the official presentation. The Wiper leader Kalonzo Musyoka who was in Kilifi dismisses claims that today meeting was only naming the flagbearer. Today's evening meeting will discuss features of the coalition and ways of how they will win the elections by minimising rigging loopholes. The leaders went out in different counties in the Coast region waiting for the ANC leader Musalia Mudavadi who was held up at a meeting in Nairobi. The ANC leader arrived some minutes before 6 PM. According to the committee, they had their last meeting in the wiper headquarters and suggested their lineup which today's meeting will iron up some of the issues. The committee came up with Raila Odinga as their favourite presidential flagbearer, Kalonzo Musyoka as the deputy president or Raila Odinga's running mate, Musalia Mudavadi will be the Chief Minister and Hassan Joho be the deputy. Moses Wetangula to be the speaker of either assembly(Senate, National Assembly) or being the leader of the Majority in the parliament. According to the report, the government will constitute of 10% from ODM, 10% from Wiper, 8% from ANC, 5% from Ford-Kenya and 30% from other parties. The remain 37% will be divided equally among regions in the country. The NASA government will comprise of all people from all regions. The proposals were forwarded to the Main Principals for more discussion or for further amendments. The leaders from all parties who were selected to make the committee agreed and the main parts of the documents are kept secret until they reached to the final document which will be made to the public later this month.